FRESH is the new face of Nutrition on campus. Developed by graduate students enrolled in the Masters of Food and Nutritional Sciences program at Brescia, FRESH is a partnership between Hospitality Services and Brescia University College. 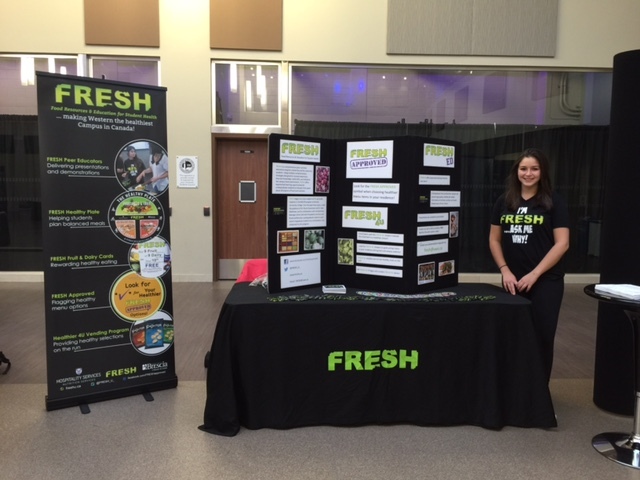 FRESH stands for Food Resources and Education for Student Health. It is a research-based, multi-strategy nutrition education program designed to increase awareness, build skills, reward healthy eating and influence the campus foodservice environment. Our vision is to help make Western University the healthiest campus in Canada! 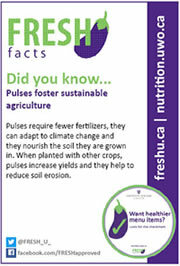 For more on FRESH, please visit www.freshu.ca. The educational portion of the program where arrangements can be made to have FRESH club members come out and conduct mini nutrition presentations. On-line request form for FRESH Ed sessions. FRESH ED serves to increase students' knowledge of healthy eating and physical activity through peer education sessions and hand-on cooking demonstrations. 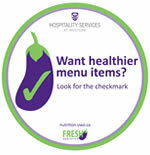 A system developed for the residence operations to help flag those items on the menu that should be selected by students more frequently (the healthier options). FRESH Approved is a point-of-purchase labeling program based on the previous Eat Smart Choices Calculator which highlights healthier menu options. Students in the residents can find FRESH Approved options on the daily menu, in the FRESH to-go fridges and in the deli areas. 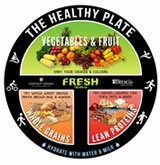 FRESH facts highlight tidbits of valuable nutrition information. You can find them on the tables in the dining halls. These cards REWARD healthy eating! 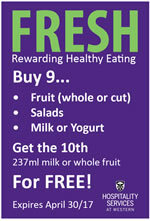 Buy 9 fruits, salads and/or dairy products, and the receive a fruit or milk on us. 5,000 cards were redeemed in the 2014 - 2015 academic year! The HEALTHIER 4U program identifies items for sale in campus vending machines that are a healthier choice. On the go and in search of a healthier option? Just Look for the rows marked by the HEALTHIER 4U banner and know that you are getting a healthier vending option! At select locations, you will also find entire vending machines devoted to HEALTHIER 4U choices. Strength training, such as lifting weights, helps to build and maintain strong bones and muscles. The more muscle mass you have, the more calories you burn even at rest!